In two studies, I have looked at how the brain learns the relevant dimensions of an outcome, and how it represents an outcome's identity. These studies involved functional magnetic resonance imaging (fMRI) to measure changes in brain activity using the BOLD signal. 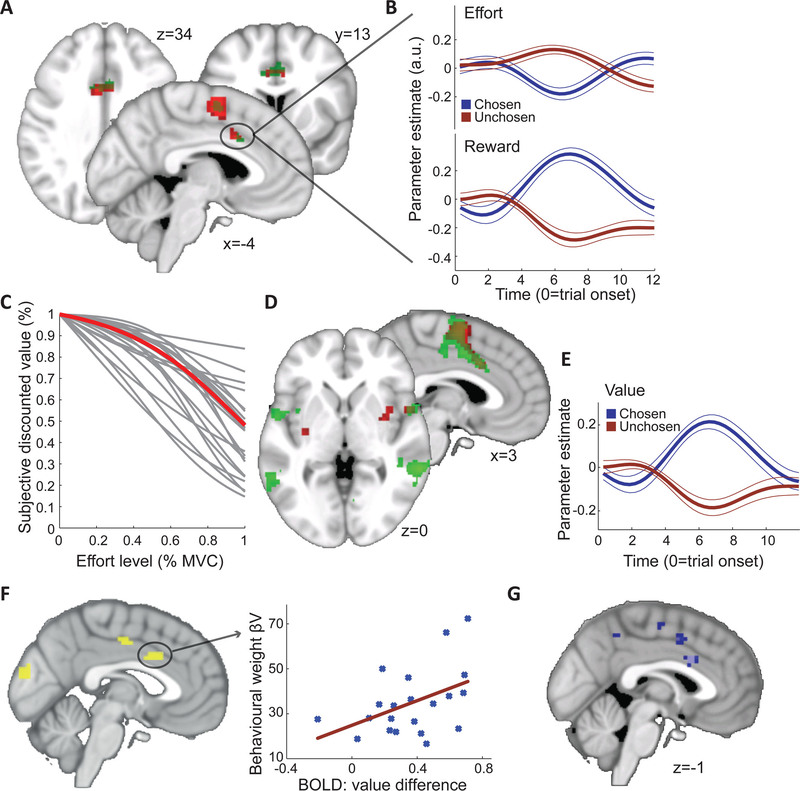 In the first study I found that temporally precise predictions of the size of reward are present in brainstem structures (VTA) even when reward size is irrelevant for behaviour. 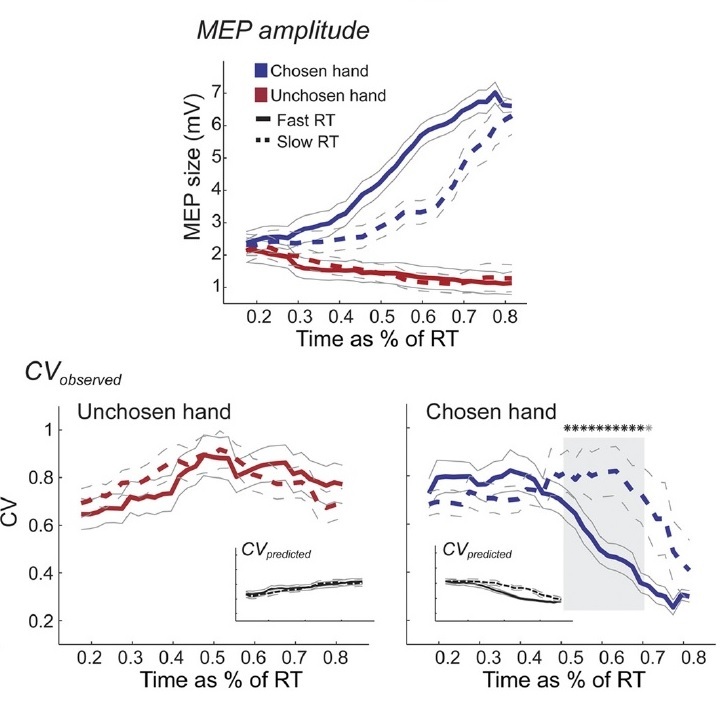 The ventral striatum (VS), however, a structure previously shown to encode such predictions about reward size, flexibly switches to encoding the relevant outcome dimension - in our case reward timing. 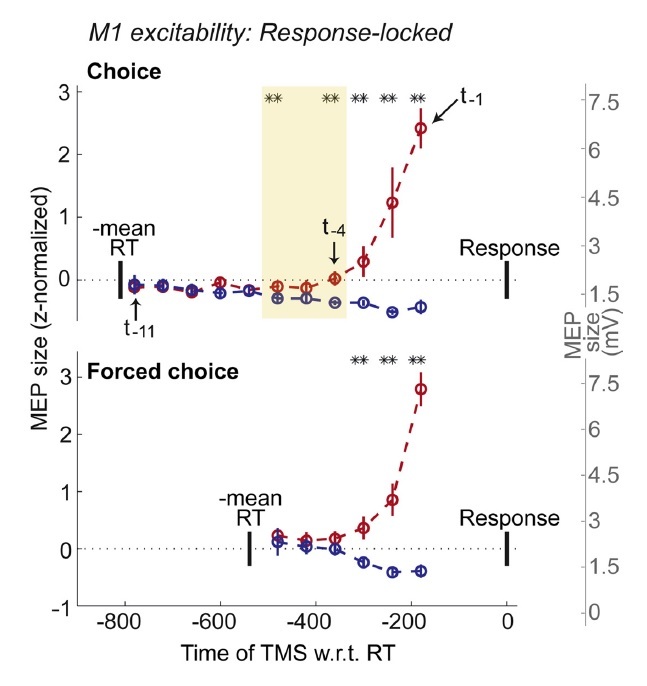 In two further studies, I was interested in whether (and how) the excitability of neurons in human primary motor cortex (M1) reflects on-going decision and motor preparatory processes. In both studies, I used transcranial magnetic stimulation (TMS) to measure the average cortico-spinal excitability (CSE) of a large pool of neurons in M1. In the first study I found that the decision process leaks to (and thus influences) M1 while the decision is on-going, rather than in a temporally serial way. 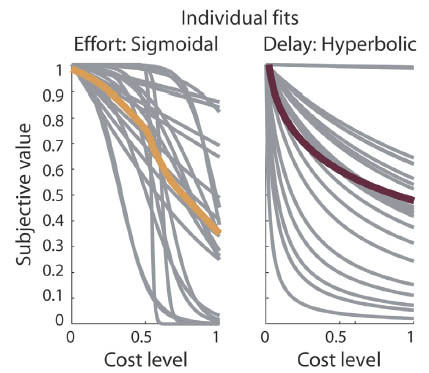 I am particularly interested in decisions that involve effort costs because they are ubiquitous in daily life, impaired in several common disorders (e.g., depression) and much more closely tied to motor output than e.g., decisions involving a delay to reward. To date, the neural mechanisms underlying such effort-based decisions remain incompletely understood. I have developed a formal model to measure how effort costs decrease the value of an expected reward and in ongoing work, I am investigating which brain regions might compare two choice options that are tied to energetic costs. 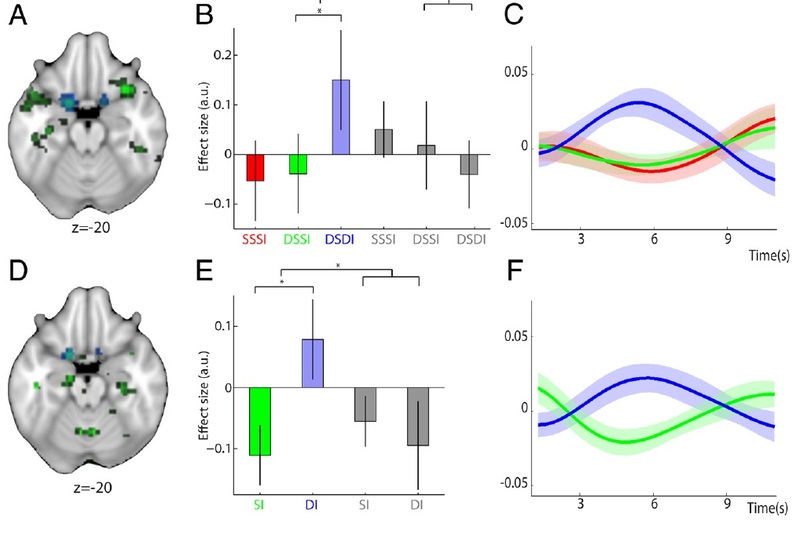 In the second study, performed together with Helen Barron, we used repetition suppression to show that the identity of an outcome is represented in a posterior region of orbito-frontal cortex. In the second study I showed that the variability of M1-CSE, and thus the state of a motor output region, tracks the readiness to execute a prepared movement. 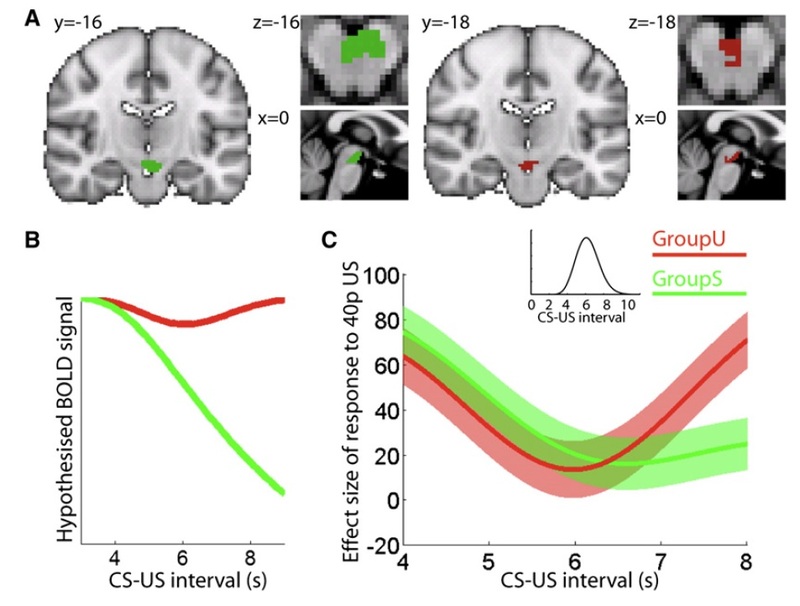 We then used this model to look at the brain networks computing decisions entailing a trade-off between physical effort and reward, highlighting areas in cingulate cortex and SMA.